This is an email from Artesyn Embedded Technologies. 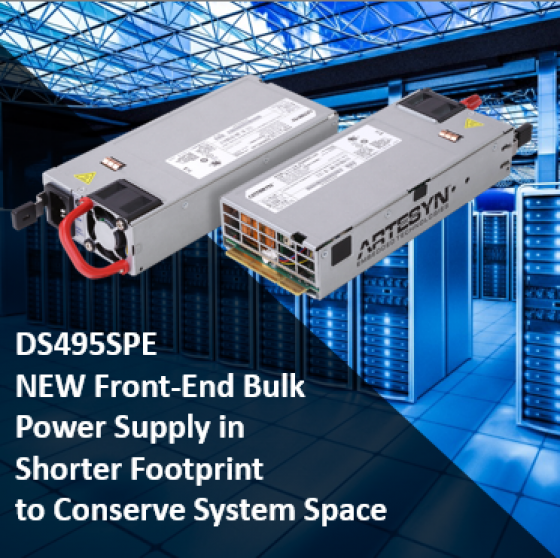 Artesyn Embedded Technologies today announced a new front-end bulk power supply that provides up to 495 watts in a form factor that is significantly shorter than that of similarly rated earlier-generation power supplies - conserving highly valuable system space. Copyright © 2016 Artesyn Embedded Technologies, All rights reserved.